Do you wish to remove all the excessive and unnecessary characters from you code so that it becomes a light weighted code with less characters? But, on the other hand you’re a bit and you don’t want to scroll down all your codes and remove the excessive code? 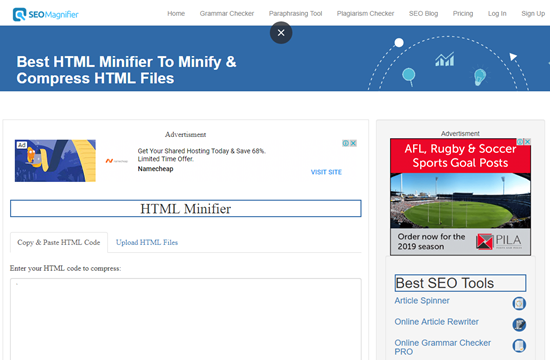 SEOMagnifier's HTML minifier will assist you in the best way possible minification is done. Minification helps in increasing the speed of your site, speed of the page loading, making visitors and search engines satisfied and happy. Minification Vs Compression which is better to use? Minification and compression are two of the main methods of optimizing Java files. They both seems to be identical as they both result in improving the speed of the page loading of your sites. But, there are major differences between them. Compression on the other hand is compressing the components of the websites and sending it later on to other users. Since, the web pages are visited through HTTP protocol, therefore the browser sends a request to webpage to allow transfer specific page. When the website allows the browser to send the page, the HTML compressor, then compresses the file and forwards it. One of the most common HTML compressors online is the GZIP. 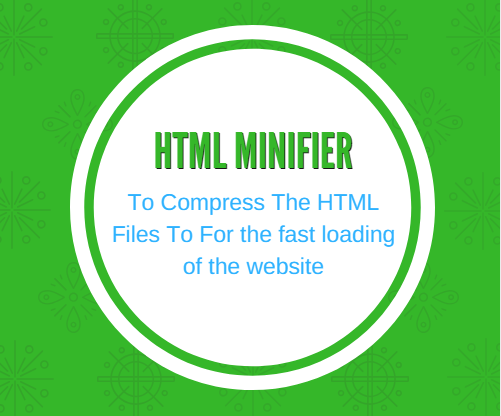 What is the Best HTML Minifier or compressor? 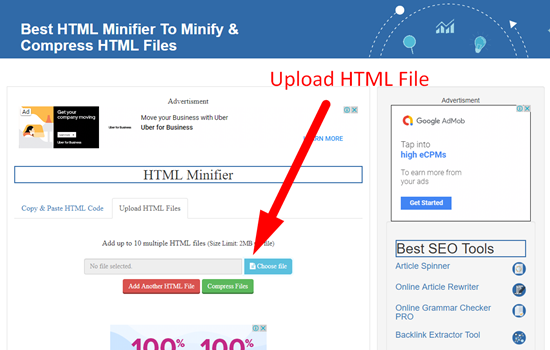 HTML Minifier is an online minifying tool which is used to remove all of the excessive data or characters from the HTML file and make it smooth and ready to use. It results in the more optimized and improved HTML file which would be easier to process and would load very fast. Minifying your HTML can improve your Page Speed Score, load times and decrease your page’s render, and reduce your page’s overall size. How to use SEO magnifier to compress the HTML files? First of all, go the HTML minifier tool page. Copy and paste the HTML coding. Or Upload the HTML file. 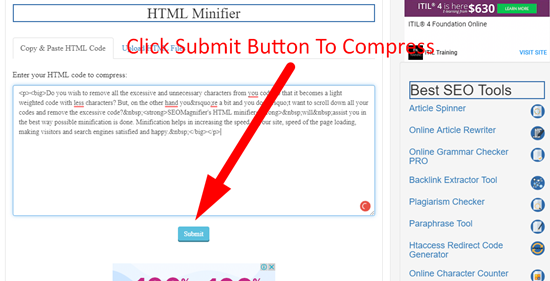 Download the compressed HTML file. Firstly remove the comments i.e. the text which is included and is in between of the /**/. After that remove all the unnecessary spaces. Except for the spaces in (0 0 0 0). This is necessary as it is the part of the code itself. 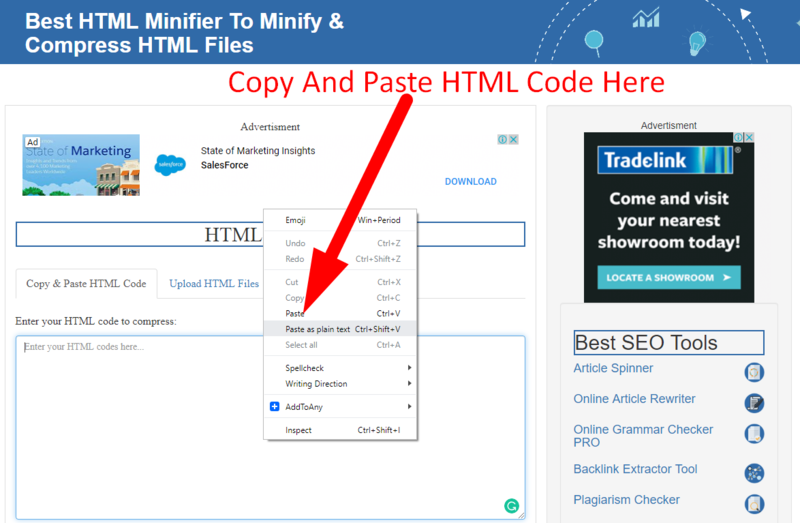 By minifying the HTML files you are actually eradicating all the excessive data which is not required for the file. Due to this excessive characters the downloading duration increases and it costs the site visitor much time. By minifying the file you also lessen the parsing time a file takes. You can easily parse the file in very low time along with building the DOM tree. Since the excessive characters cost a lot of loading duration, therefore it may increase the data usage of the site visitor which would result in the visitor not visiting your webpage again. Therefore, minifying the data usage would result in minimizing the data usage of the visitor. By minifying the HTML file, the cost of transmitting data is lowered as the bandwidth is also lowered which reduces the cost. Despite the above immense advantages, the main drawback of minifying HTML files is that it is very time consuming and it needs immense hard work. Conclusion: At the end, minifying the HTML files using seo magnifier can result in solving many problems and can increase the productivity of the site. The site requires less data to access assuring all the desired contents are unchanged. On the other hand, if you want to compress or minify the CSS files you can try out the css minifier especially designed for CSS minification.